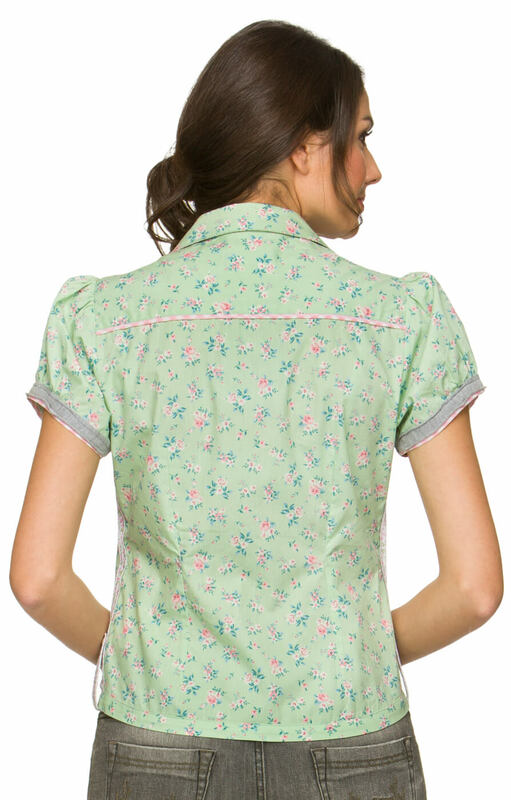 Trachten Blouse Filipa in Pale Green. With a love and understanding of traditional design, the Filipa blouse strikes just the right balance: it’s comfortable and casual, but with a wealth of lovely finishes. 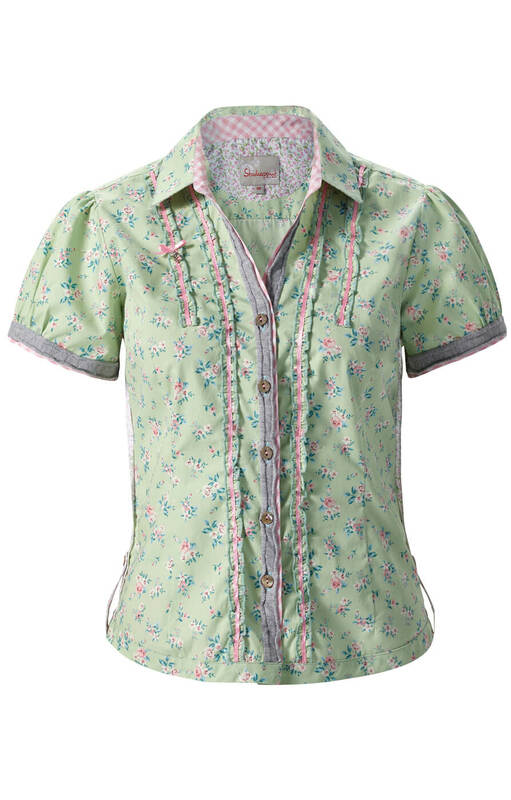 The side-tapes at the hem, the contrasting placket, the pearlescent buttons and the ribboned detailing combine perfectly with a pale green and pink floral pattern, picked up in the pink gingham check of the inner collar. 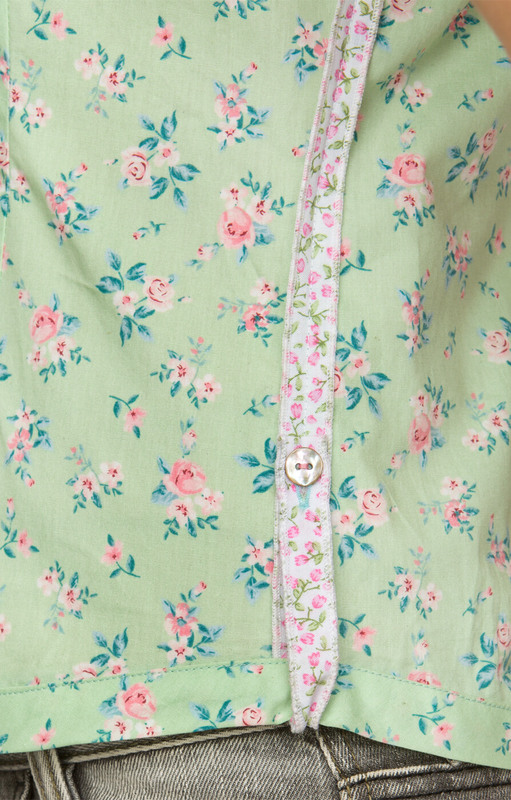 Pretty as an alpine meadow, it’s made for blue skies and sunny days - match with jeans or shorts for the perfect casual look. Sehr schöne Bluse! Günstig, gute Qualität. Das Preis Leistungsverhältnis ist gut. Die Bluse ist hochwertig, mit feinen Finessen. Gefällt mir sehr gut. Herrliche Passform! Die Elastizität lässt genügend Bewegungsfreiheit. Sehr hübsch, da der Stoff fester ist,wäre ein geringer Elastananteil angenehmer. Hab sie in blau und grün bestellt, beide Farben sind sehr schön, schwere auswahl.